SONS of ANARCHY Cast Change Spoiler? I just noticed that Rockmond Dunbar, who plays Eli on Sons of Anarchy has landed himself a regular, aka recurring role on The Mentalist! 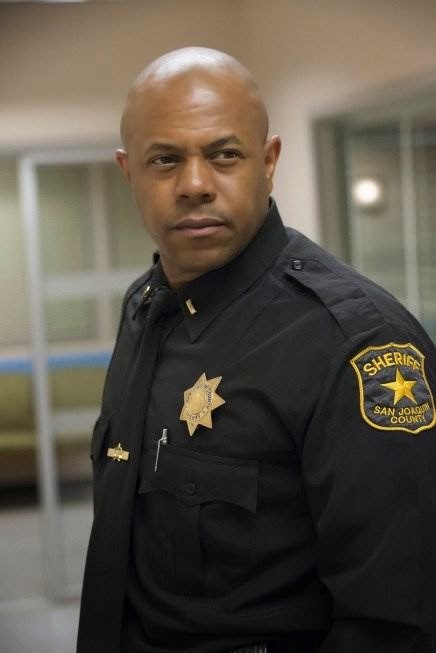 My guess is that Deputy Sheriff Eli Roosevelt is not long for this world, considering the season finale of Sons of Anarchy season six is coming up this following Tuesday. This is pure conjecture, but I have a few data points to go on. Actors with a solid, recurring role in one TV series don't start showing up in other shows. Crap.... bad crap just tends to happen to characters in and around SAMCRO! Oh, and I find the new direction that The Mentalist is taking, to be rather interesting. Not the same ol, same ol.